Just noticed that the summoned bone minions & shadow fiend die instantly when I go underwater. When I re-summon them underwater and go out of the water they instantly die as well. Seems like it just started...anyone else noticing this? Not sure if it was clear what I wrote so I made two videos showing it. 2) Going in and out of the water with all minions, minions are the same but at different skill buttons. Those on different buttons disappear, only elite and heal stay because they can only be at button 6 and 0. From what I'm seeing in this thread, the minions are functioning as intended (for reasons explained by others above). OP, would you consider your question answered? I don't think this is a bug, but wanted to check with you to make sure you agreed. You need to put the same minions at the same skill buttons as far as I remember. If a skill is replaced by another skill when entering the water, the minion that was cast with the skill that got replaced dies. If it didn't work like that, then people would slot different underwater minions, pop them while aquatic, and then come back to land, to have another set of skills. Sounds like the OP may have the same skills underwater, as he/she speaks about re-summoning them, and then they expire when coming back out from underwater. Oh, for kittens sake! 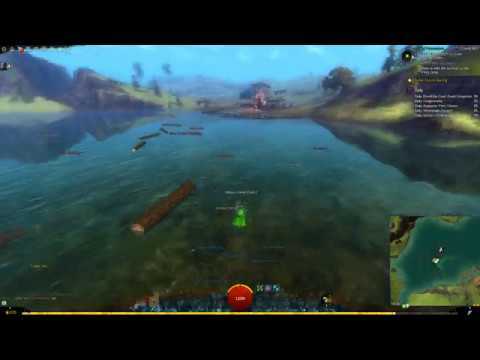 I've been playing necro main since beta and I just thought certain ones were always supposed to die and need re-summoning when going in and out of water...and Fred (Flesh Golem) just couldn't swim, because he was never available to be summoned under water to begin with. It was always greyed out for me when setting underwater skills. Thanks for this thread! Gathering is going to be sooo much easier now that I don't need to keep re-summoning my entourage everytime I need to go for a swim. Fred is adorable as a zombie shark! Oh... I would have NEVER thought about that. This is completely counter-intuitive. 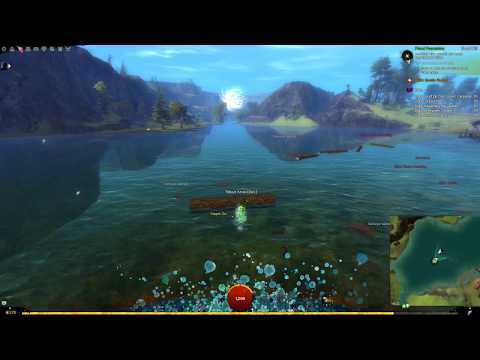 So before re-assigning 7, 8, and 9 skills on land, you must remember on what position you placed them on the water skills bar, and vice-versa? Okay then. Honestly, I would still count that as a bug. Placement should not matter for those three. If you have an ability equipped, you have it and that's it - where it's displayed on the UI should not matter. Spectral Walk has the same problem. Thanks for all the responses...yes, it must have been the minions on different skill buttons. I could have sworn they were on the same ones, but when I redid them, they are no longer dying when entering/exiting the water. Many thanks! This is a shortsight. If you want to prevent your minions from dying during transition from land to water, make sure the minions are in the same slot on land as they are in water. It has happened to me a few times. So if you had your shade in slot 7, on land, make sure it's in slot 7 in water if you want it to survive in-transit.